Talking about F1: The F1 blog: F1 2017 Season Preview: Williams - Marching again? F1 2017 Season Preview: Williams - Marching again? In F1 certain things can't be denied for long. In 2014, after a few years of doldrums, it was glad confident morning for the famous old Williams team. It bounced forward with Mercedes power units, a low drag chassis that made good on it as well as new technical figures such as Pat Symonds and Rob Smedley aboard. But in the years since the team drifted. It took a while for observers to notice as Red Bull's 2015 slump cloaked it somewhat. But last year there was nowhere to hide as not only did the Bulls get ahead so too did Force India - a team not a great deal larger than half of Williams' size. The FW38 was rather uninspired and then proved resistant to development, as well as wasn't good at extracting performance from the tyres. Yet the team's face off with Force India shed light on a more fundamental Williams conundrum. As outlined recently in Motorsport Magazine while Force India is a lean outfit designed to make the best for one its size, Williams is still structured as a large team - doing most things in-house - but hasn't the budget to maximum it. Given everything we can understand why Williams would be reluctant to raise a white flag and re-structure itself in Force India style. Yet for now it seems between a rock and a hard place. The team at least cannot be accused of sitting on its hands in the face of all of this. Among other changes Dirk de Beer (one of many punted from Ferrari last year) is in as the new head of aero, Dave Redding is in from McLaren as sporting manager, while former Ferrari tyre specialist Antonio Spagnolo is in to improve its iffy understanding of the Pirelli rubber already cited. Best of all the return of celebrated Mercedes technical head Paddy Lowe is thought imminent. But the flipside to all of this upheaval is that it may take time for it to bear fruit. Certainly Lowe's impact is unlikely to be felt in the immediate term. Yet Williams' record after big technical changes is good, as especially is Pat Symonds', who while he left the team in recent weeks will have been responsible for the team's broad 2017 direction. On the crude basis of how the 2017 car looked in its (computer-etched) launch many sensed a 'will that do?' effort. "The Williams is disappointing," said Craig Scarborough, "there's nothing really that you can pick out on that car would really set it apart from the opposition". Motorsport added that its simple features "beg the question as to whether Williams will make the most of the new regs". Ted Kravitz suggested however that "it's in the sort of Red Bull concept of nice and simple, just get the flow right...it seems to be fundamentally a pretty good car." But while the team's opening test was quiet - not helped by losing much running time due to a series of prangs from its rookie driver Lance Stroll - the second test seemed to bear Kravitz out. The car got not only plenty of mileage but Felipe Massa set headline times among those of the big boys - indeed he topped the charts on the opening day. And it might just all be real. "Just spent an hour trackside," said Will Buxton on the second day of the second gathering. "Reckon Felipe's choice to unretire might be the best one he ever made. Holy wow, what a car he's got this year." Keep an eye on the old Grove soldiers. Drivers who enter F1 backed with cash start out on a hiding to nothing. And with this, son-of-a-billionaire Lance Stroll could hardly have kicked off his life in the sport's pinnacle series less auspiciously. He had three off track incidents in his first two days of testing, which - combined with a shortage of spare parts - in effect lost the team two of the four days' running. Some sought to defend him - Rob Smedley described Stroll as an "innocent victim" of cold tyres while Lewis Hamilton made the not unreasonable point that the new breed of F1 car is particularly challenging for a rookie. 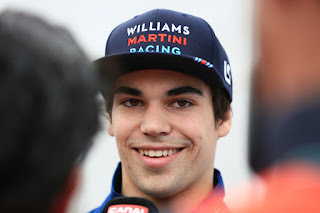 The F1 wag community didn't however require further encouragement - Stroll was the new Pastor Maldonado (money, Williams, crashes a lot), they sniped. Stroll has been in something like this situation before though, just a year ago. Then coming out of a debut F3 season in which he had been promising but erratic, he got number one status in the series' top squad of Prema Powerteam. He didn't even start the campaign that well. And just as accusing eyes started to burn upon him to make good on his favourable opportunity he did so, and superbly, by creaming the title with an almost 50% win rate. His driving indeed developed a polished yet assertive disposition as the season went on. If anything he exceeded the lofty expectations. "Money buys a lot but Stroll transcended that," noted Marcus Simmons at the campaign's conclusion, "by the time the season finished people were talking about his ability, not his family's wealth." It's way too soon to call him the new Maldonado in other words. The doubts around Williams in advance of testing extended to its driver line up. Stroll may well have potential as outlined but it can hardly be denied that his selection owes much to money. 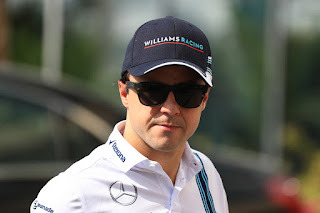 While the choice to bring Felipe Massa back from retirement to replace the promoted Valtteri Bottas was interpreted as an imagination failure. Harsh? Maybe - but it has a ring of truth too. 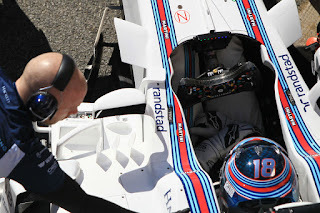 Granted Williams wanted a solid offering in the suddenly-vacated seat alongside Stroll after Bottas was head-hunted at the 11th hour. Granted too Williams' chief sponsor didn't want both drivers under the age of 25. Granted too Jenson Button was enquired about but found to be out of the team's financial league. Yet the suspicion persisted that a more worthwhile compromise could have been found than a guy whose qualifying and pace deficit to his team mate gaped probably larger and more consistently than in any other pairing on the grid last season. For whom whatever the emotion around his apparent retirement no one doubted that he'd timed his retirement well. Claire Williams insists the interpretation is simplistic, that among other things Massa's experience will come in handy in a year with a reg shift. And Felipe has surprised us pleasantly before, particularly when he feels he has a team mainly focussed on him, which surely he'll get in 2017 at least initially. As outlined his testing form has looked good. He might just be in for an Indian summer.